Are we there yet? NO!!! What is the XenApp logon process? What network ports do we need? What VDI models are there? 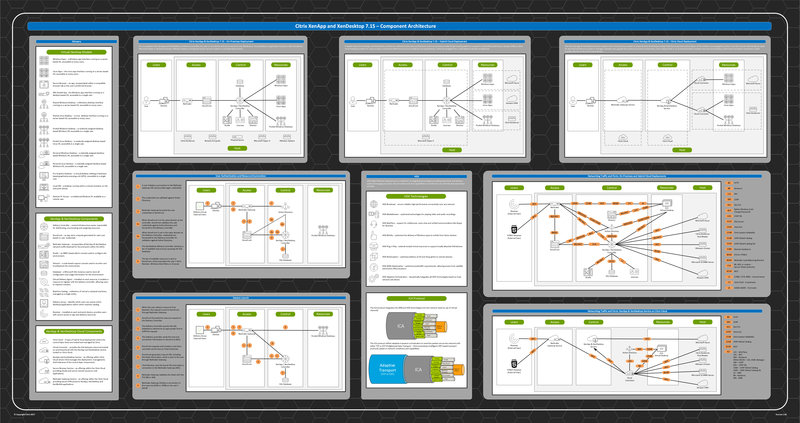 Instead of answering these questions over and over again, I decided to create the Citrix XenApp and XenDesktop Component Architecture Poster, which contains diagrams, process flows and information about the different components and capabilities. Plus, each one of the individual diagrams are contained within the latest Citrix Workspace Visio Stencils.